As a Mortgage Loan Originator, I’ve had my share of that question. I also know it’s not a simple answer. Companies can’t guarantee they have the best mortgage interest rates. However, there are ways to improve your likelihood of being offered a low, competitive mortgage rate. Do we have the best mortgage rates? How do you find the best home loan rates for you? First, and most important, inform yourself! Let’s discuss some of the factors that influence rates and pricing, and then some of the ways you can improve your rates. Does a Bank or Credit Union offer the Best Mortgage Rates? There are different advantages with each different type of company. Not one offers the best mortgage rates to everyone. Shop around! Banks and Credit Unions both offer the advantage of being able to transfer the money to make your mortgage payment directly from the checking account you hold with them. Current bill pay technology minimized that benefit, but it is still advantageous to some people. They also may be able to offer certain “niche” programs that they are trying to keep in their profile. Therefore, they may offer a good price (possibly the best) for that product. Maybe they love ‘jumbo loans’ – high dollar loans above the conforming limit. Maybe they really want to help people that have a lower down payment. Whatever the ‘niche’, they generally offer a better rate for it to get you in the door. As a general rule, with our past experience comparing loans, Credit Unions offer better rates than Banks. Credit Unions have generally offered better pricing (better or the best home loan rates) to their members, than what we have seen banks offer. Can a Mortgage Broker offer me the Best Mortgage Rates? Mortgage Brokers have many unique advantages. Since a Mortgage Broker typically only offers home loans, they usually have less overhead expenses. Therefore, they are able to offer more flexibility in their pricing. That may mean they can offer you the best mortgage rates! Additionally, just like each bank will have different “niche” programs and pricing specials, mortgage lenders do as well. Mortgage Brokers have access to many different lenders. Multiple lenders = multiple “special” pricing options = a better chance of the best mortgage rates for you. When a Mortgage Broker like MLS Mortgage Group chooses a lender, there are more factors that are taken into consideration than just the products, and the best mortgage interest rates. We review lenders with faster turn-times, for those loans that need to close quickly. Want to pay off the loan faster? We look at custom loan options, such as a 27-year loan instead of a 30-year one. Also, a Mortgage Broker can shop the best home loan rates between all of their lenders. A Mortgage Broker can provide you with the lender with the best home loan rates available to them for your situation. Make your quest for the best home loan rates easier by including a Mortgage Broker. They do a lot of that legwork for you. Is there anything else that effects the best mortgage rates? In theory, if you pay your closing costs upfront, you have a better chance of receiving the best mortgage rates for your situation. But, many companies (not us!) are compensated both from you at closing and from a higher interest rate. The higher the interest rate, the higher their compensation will be. As mentioned, large banks usually have high overhead so their rates are generally higher. There are possible exceptions with niche/portfolio programs that may offer the best mortgage rates. Since Credit Unions are owned by their members, their fees are generally lower since it goes back to the owners. A Mortgage Broker may have a little more flexibility in their pricing and have access to wholesale pricing, which may or may not be advantageous for your pricing, depending on the company and their extension of that pricing to you. How do I know if I’m being offered the best mortgage rates? 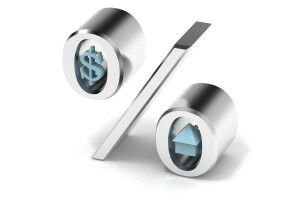 Lenders sometimes offer “discount” points to lower the interest rate. It looks like they have the best mortgage rates. Enter APR. Regulators established the “Annual Percentage Rate” (APR) to help consumers compare loan options. APR is required wherever mortgage rates are quoted. APR is calculated by spreading those charges over the life of the loan. That results in a rate generally higher than the interest rate (shown on your Mortgage/Deed of Trust Note). If interest was the only Finance Charge, then the interest rate and the Annual Percentage Rate would be the same. The APR was designed so borrowers could look at two or more different loan options, and see the annualized costs associated with a certain interest rate. In theory, borrowers are able to easily see if a lower interest rate is actually costing more. The issue with this is that the lender is able to select which fees are included in the Annual Percentage Rate. Although the specified charges are regulated, there is inconsistency in the industry on the utilized charges. For more information on Mortgage APR, see APR.MLSMtg.com. Is APR the only tool for comparing mortgage rates? So while this is one tool, it is not a perfect calculation. It’s also no longer your only comparison option. When comparing, keep in mind: It may make sense to pay more upfront to have a lower rate over the loan period. Only you are able to decide on the best mortgage rate for you. Aside from informing yourself to make knowledgeable decisions, what can you do to improve your pricing to help obtain the best mortgage rates for you? Larger down payments (up to 25-30%) generally improve your interest rate. The only exception is if you lower your loan amount below a pricing threshold. Lenders make more money on $250k loans than $50k loans, so will usually offer better pricing accordingly. The best way to receive the best home loan rates for you, is to improve your credit. The first step to improve your credit is to make sure everything is correct. Checkout http://annualcreditreport.com to order your free annual report. In addition to making sure that info is correct, make sure you continue paying on time. If you can, try to pay down (and/or keep) balances to below 30% of their credit limit. One common mistake is closing old accounts. Old accounts showcase your established credit. Close them and you take away that history – that can largely negatively impact your credit. For more information on how to get the best mortgage for your situation, check out the CFPB’s Home Loan Toolkit. Want the best mortgage rates for you? The lowest rate is not the only factor to take into consideration. There may be a company that offers low pricing, but is unable to process your file in a timely manner. You could lose your locked rate, and end up with a higher interest rate, or worse! Buying a house? You could lose your desired home by not meeting deadlines agreed to in the purchase contract. Deciding on a mortgage company? Consider their reputation. You can often find online reviews on mortgage companies to see if they’re reputable. Better Business Bureau, Angie’s List, Yelp, and Google often have helpful reviews. Did you know? We offer complimentary loan comparisons! Have a Loan Estimate from another company? We will review it line-by-line, comparing apples-to-apples (even if they look like oranges or lemons). We’ll let you know what we can offer you, and, as we have done in the past, we’ll tell you honestly if you already have a better deal. In conclusion, if you’d like to make sure you’re getting the best mortgage rates for you – whether it is looking to buy in 6 months to two or more years awaym or if you already have an accepted offer on a home; contact us. We’re happy to help you with whatever step you are in the process. Posted in Buying a House, Mortgage, Mortgage Questions, Mortgage Rates, Refinance and tagged APR, Bank, Best Mortgage Rates, Closing Costs, Compare Mortgage Rates, Credit Union, Down Payment, Mortgage Broker, Mortgage Companies, Mortgage Interest Rates, Mortgage Lenders, Mortgage Questions, Refinance Rates.